Let's say I am a student in your advanced geometry class. How would you show the light path of this discovery ? Or would you be the devious professor and give it as a final examination ? Patience and luck. Very apt descriptions. In the S&T blog, C. S. Kochanek (an author referenced in the paper below) is quoted as predicting the 5th (central) image intensity (see below) will be too demagnified to be observable. If fade timings are seen on all the images it may also be possible to extract Cosmic expansion rate. However, Kochanek states that the detail of gravitational lens needs to be know very accurately: Across the galaxy cluster the lens density variations of ±1% precision must be known and supernova fade timings must be accuratate to within ±5% . of = 11h49m36.01s, = +2223048.1300 (J2000.0) at a future time, within a year to a decade from now (2015 to 2025). This observation is really a amazing. A real benefit of new-technology, rapid and repetitive, sky survey capabilities will likely yield more of this kind of needle-in-the-haystack data. What an utterly fascinating image! Those four images of the supernova look like widely scattered and absurdly red regions of star formation in a ring of star formation around the bulge of the galaxy where they appear to be located. 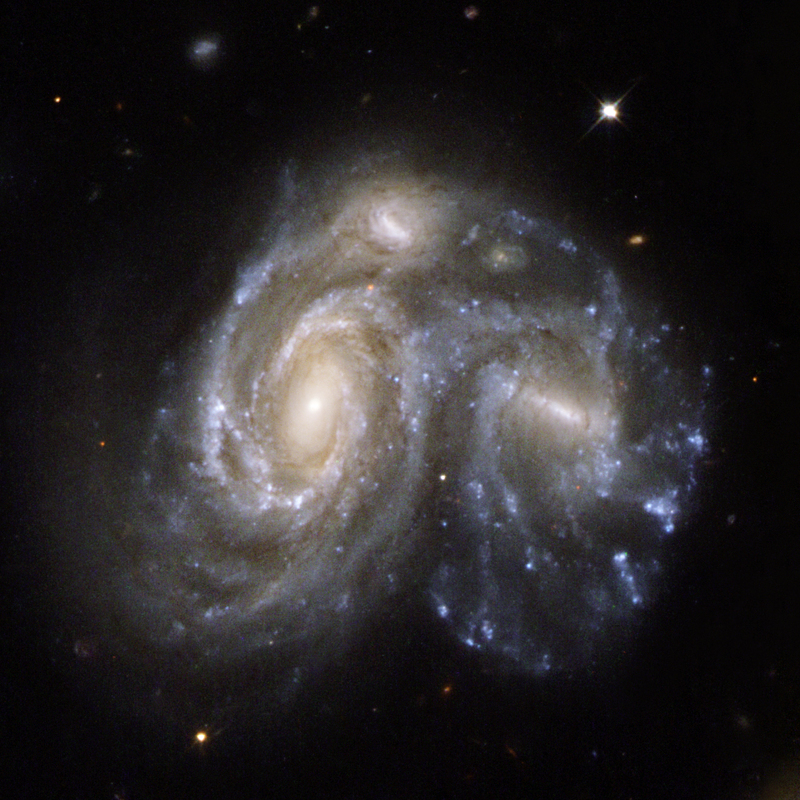 The spiral galaxy in question is interacting with another spiral galaxy in a way that makes it look slightly similar to Hubble's iconic image of interacting galaxies NGC 6050 and IC 1179 in the Hercules Cluster of galaxies. The cluster of galaxies is also remarkable, since it contains several very lively spirals close to its dominant massive ellipticals. What an amazing coincidence! What a fantastic picture! I hope astronomers find out something interesting about this particular supernova. And then I hope they find out something hugely interesting about dark matter and the evolution of the universe. Yet another observational accomplishment to add to the long list of things which seem to confirm the elegant theory of general relativity. There are people tying their brains in knots trying to say Einstein got it wrong and gravitational lenses are already almost impossible to explain without GR, but to see a supernova and then see it again as predicted? The promise of this seems almost too good to be true. I can't wait to find out. For what it's worth, I've got a version of the image up here. It uses near-infrared observations taken over a three month period at the end of 2014 and start of 2015. A small amount of data from 2013 was integrated into the data I used but that didn't stop the supernova from showing up. The featured image uses some shorter wavelength observations for the blue channel (or, at least, the F814W part of it) which were taken six months prior and do not show the supernova. This probably is why the supernova appears so yellow. Why will there be a fifth image? What is the reasoning behind that? Camiel Plevier wrote: Why will there be a fifth image? What is the reasoning behind that? 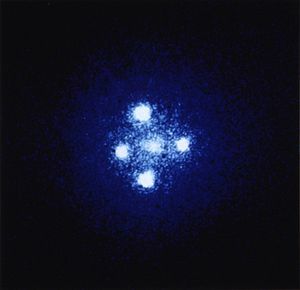 The gravitational lens increases the length of space that a ray of light must travel in. The stronger the bend, the longer the path. For a path > 9 billion light years long that bending amounted to only a few decades from our vantage point. ta152h0 wrote: Let's say I am a student in your advanced geometry class. How would you show the light path of this discovery ? Or would you be the devious professor and give it as a final examination ? Although I can understand why it is hoped/expected for a 5th and central image to appear, I do not understand why there are four images at the moment - rather than a simple basically continuous circle of brightness surrounding the refracting galaxy. I can understand an Einstein ring, that is, the original light source being deflected uniformly around the lensing mass (the galaxy in the way.) I can understand how a single, perfectly focused SN image can be displaced to one side. What I cannot understand is the Einstein cross. I cannot see how there will be multiple images that are perfectly focused at different angles. Given a suggestion that the gravity field of the lensing galaxy is elliptical or otherwise asymmetrical, such a field still should only show either a distorted ring or just one displaced image of the supernova. Does anyone remember Intel Pentium? R. H. MacDonald wrote: I can understand an Einstein ring, that is, the original light source being deflected uniformly around the lensing mass (the galaxy in the way.) I can understand how a single, perfectly focused SN image can be displaced to one side. What I cannot understand is the Einstein cross. I cannot see how there will be multiple images that are perfectly focused at different angles. Given a suggestion that the gravity field of the lensing galaxy is elliptical or otherwise asymmetrical, such a field still should only show either a distorted ring or just one displaced image of the supernova. I have the same problem understanding how it happens. Rings are formed by spherical masses and crosses by flattened ones. I'm not sure how it works, though. But it is not hard to believe that it happens especially seeing all of the examples Hubble has provided us with. I just have to accept that I don't understand it well enough for it to be intuitive. We were all so cute as babies. Wonder how old we were when this picture was taken? It occurs because the lens isn't symmetrical. 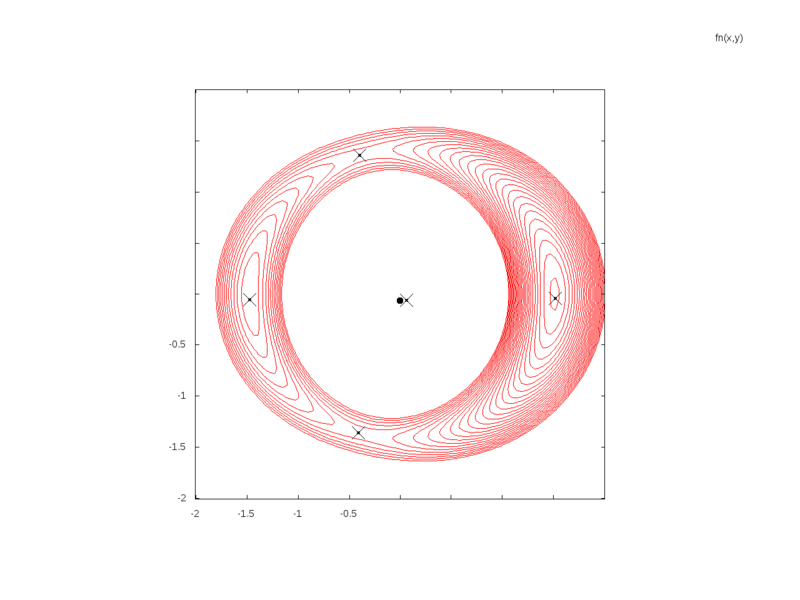 A ring occurs when the lensing body creates a spherical gravitational field, which is pretty common. Arcs are a variation on this. Multiple images occur when the field is uneven and discontinuous. This is much less common, because galaxies (regardless of their shape) produce substantially spherical fields (because the lensing is caused by dark matter, and that is usually in a spherical halo). The same is true (although to a lesser degree) for galaxy clusters. Chris Peterson wrote: It occurs because the lens isn't symmetrical. A ring occurs when the lensing body creates a spherical gravitational field, which is pretty common. Arcs are a variation on this. Multiple images occur when the field is uneven and discontinuous. This is much less common, because galaxies (regardless of their shape) produce substantially spherical fields (because the lensing is caused by dark matter, and that is usually in a spherical halo). The same is true (although to a lesser degree) for galaxy clusters. So, this topic's lensing galaxy's mass distribution has four separate local maximums and the original single light source (the SN) is being slightly displaced in four separate ways? 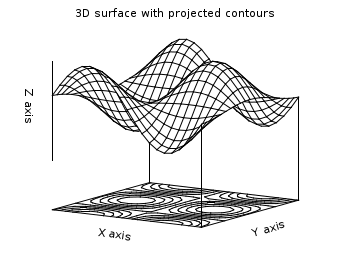 This would suggest the gravity field doing the distorting would have four points also in the shape of a cross, eh? along a path which takes the least time(; e.g., an Einstein ring). for which the travel time is either minimum, maximum or a saddle point. The black circle is the center of symmetry of the point/strip, the cross next to it is the true position of the quasar, and the four crosses are the locations of the critical points, while the contour-line density on the saddles/sources tell you the inverse brightness. This matches the data perfectly. geckzilla wrote: I have the same problem understanding how it happens. Rings are formed by spherical masses and crosses by flattened ones. I'm not sure how it works, though. But it is not hard to believe that it happens especially seeing all of the examples Hubble has provided us with. I just have to accept that I don't understand it well enough for it to be intuitive. Thank you for your reply. Questions and answers are great ways to come up with more questions and answers. I just have to accept that I don't understand it well enough for it to be intuitive. The most read book in the history of mankind has that caveat to its basis. You just have to accept things by faith and faith alone. I do not. If the chair looks to me like I can sit in it, I'll take the risk. If there is a leg missing, I won't. So, I study chairs in my own limited, uneducated way. neufer wrote: "The black circle is the center of symmetry of the point/strip, the cross next to it is the true position of the quasar, and the four crosses are the locations of the critical points, while the contour-line density on the saddles/sources tell you the inverse brightness. This matches the data perfectly." Yes, I had gone to Wikipedia and saw that. Thanks for the reply, by the way. What I can't get my head around is that the negative to positive influence in the contour line is a smooth transition and, the way I think of it as, causing a sliding sort of distortion not a perfectly focused one. Multiple crescents, so to speak. R. H. MacDonald wrote: So, this topic's lensing galaxy's mass distribution has four separate local maximums and the original single light source (the SN) is being slightly displaced in four separate ways? This would suggest the gravity field doing the distorting would have four points also in the shape of a cross, eh? Keep in mind that the lensing body in this case is not a galaxy, but a galaxy cluster. That is usually the case for gravitational lenses. "The black circle is the center of symmetry of the point/strip, the cross next to it is the true position of the quasar, and the four crosses are the locations of the critical points, while the contour-line density on the saddles/sources tell you the inverse brightness. This matches the data perfectly." The two saddle points in particular are far from "perfectly" focused. You simply have to have a lot more faith in that book to sit in a chair with a leg missing, same as walking on water. It can be done, but isn't often. The configuration of supernovae points almost seems similar to the points from which gravitational lensing has been studied. If the dynamic system remained still keeping it free from distortion could the fifth point fall upon the L2 position? We see four images and expect one more, but is this number limited? If the lensing is a result of a non-symetrical collection of masses, could we not discover a situation where the number of 'lensed images' could be 8 or 10 or more in dependence on the complexity of the non-symmetrical lens? Also, in today's image where we see the four 'maxima', if the exposure was longer in duration, would we see some sort of connecting image filament forming between the four maxima? Not circular, of course because the lens material is not symetrical, but more snake-like?